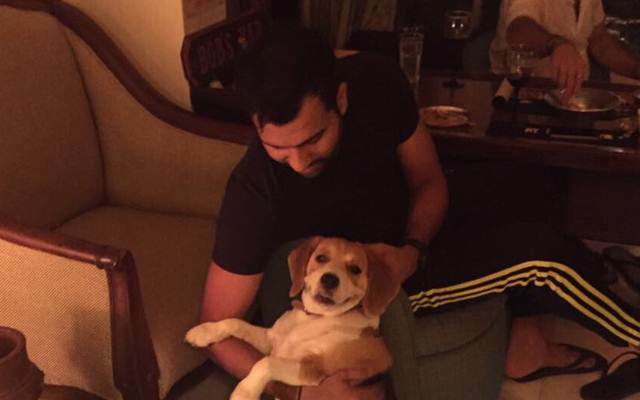 Rohit Sharma addressed the important issue regarding wildlife on social media recently. Indian opener Rohit Sharma has sent out a very strong message loud and clear. Rohit posted a throwback on twitter, where he can be seen posing with a Rhinoceros. The explosive limited overs batsman supports anti-poaching and requested all to stop killing animals. Aware of the threat to wildlife, Rohit Sharma joined an anti-poaching campaign along with Hollywood actors Matt Le Blanc and Salma Hayek, in the year 2015. Rohit is a very important part of the limited-overs side for India. He is the vice-captain of India and has proved his mettle at the top order. The upcoming home series against Australia is an important assignment and Sharma’s performance at the top will be a key to India’s success. “I would be happy if I could repeat the performances from last time,” Rohit said on Thursday on the sidelines of an Adidas event. He, though, didn’t forget to mention that this is a different Australia side than 2013. “Australia are a different side with a different team dynamics. Our team dynamics have changed. Every time you play a new series, you come with a new mind set and try to repeat the same performances. I have to think fresh and not dwell on what happened in the past. That is what I will try and do,” Rohit said.